Did you know? You can reward your customer, using the retail software. What has changed in the retailing business in the past years? 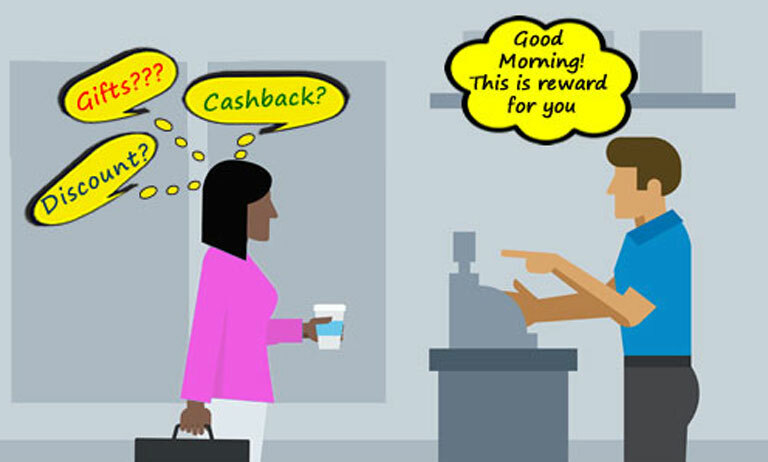 The major thing that changed the course of the customer-retailer bond is trying to recognise the customer everytime he or she comes. This has been used by many business agencies to create a strong impact on building a relationship of business to the customer directly. These are governed by officially stated customer loyalty programs which have been showing a lot of stock profit of the business when applied. A customer loyalty program using retail shop software is to create a marketing strategy to reward a constant customer of your services or business with certain things, based on the purchases of the commodities or services from your business. The implementation of a campaign regarding customer loyalty plans has carved a path into the market so much. Studies show that on an average, there is up to 30% hike in annual profit. But, do you remember each of your customers? Not only in Pune but in all over India retail software has made the revolutionary turn in retailing business. It connects technology to the business. Retail software systems have come through a lot of meticulous training and development. It is now an integrated form of multiple features on a single platform. Retail software is so important and accurate right now, that everything can be done. So, the solution for your marketing strategy is to portray your campaign to the audience and rewards your customers. This has been integrated into the system of your business. These retail shop software are optimized in such a way that they can take an individual customer. They check the details about his or her history with your store and generate a particular reward for the customer. After that, it will hike your purchase. This billing software for the retail shop can track an individual customer and directly figure out the most optimized reward for him. Now, what we will do is to have the best deal for the set of most reliable and viable marketing strategy. And, it improvises the same using track history of your buyer. This will definitely attract new customers as well as retain old customers to your brand. The customer wants the feeling of royalty and loyalty. So what it will do is based on what services you want to provide, if you want to upgrade tier of the customer after a certain limit, it can. And, this can be also linked to the mobile number of a standard session of a customer and track it down for discounts. To conclude, the retail software has a lot of potentials. Enterprises like PAIT BIZ are providing Retail POS software in Pune as well as in whole India. This is directly bought with a customized set of services. So you choose what you want to do with your company and customer. Maximum input maximum output is the case of any developing country and surviving in this competition is very hard. But Retail software based campaigns can really take your enterprise to the place where you want to see it be.